Tired of finding your favourite clothes torn to shreds? 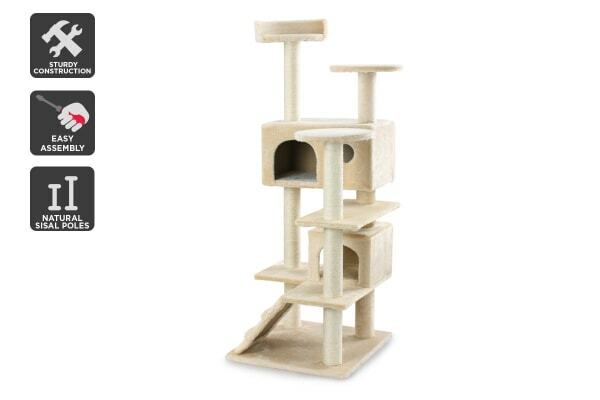 With the Pawever Pets Cat Scratching Post Tree, you can forget coming home to your kitty’s mass destruction again. Ideal for indoor use – just pop in a corner! 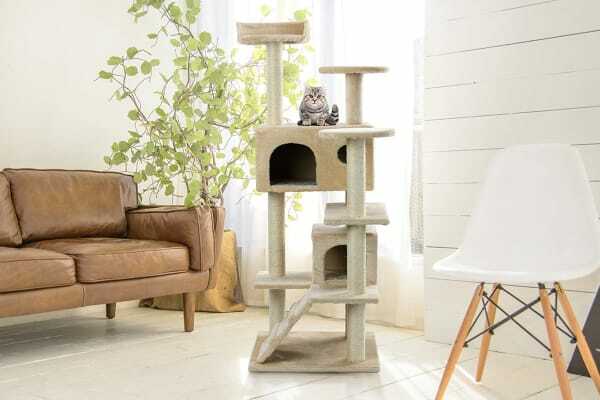 Entertain your beloved feline friends for hours with this all-in-one kitty kingdom that will help curb their destructive tendencies, promote positive scratching behaviours, and keep your expensive clothes and furniture from ending up as collateral. 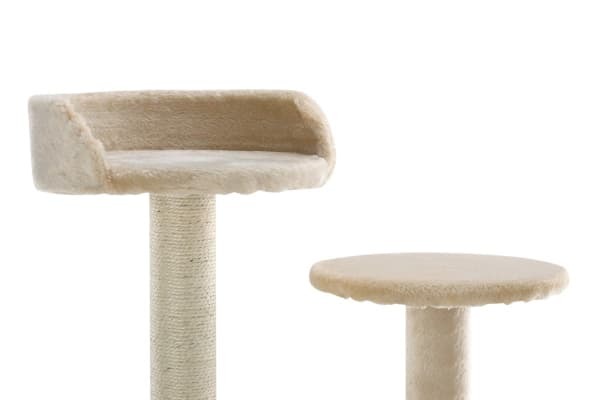 The Pawever Scratching Post Tree provides your furry-friend with their very own playground to climb, nap and scratch to their heart’s content. Suitable for cats and kitten of all sizes, with an abundance of crawl spaces and pedestals that can support multiple cats at any time.